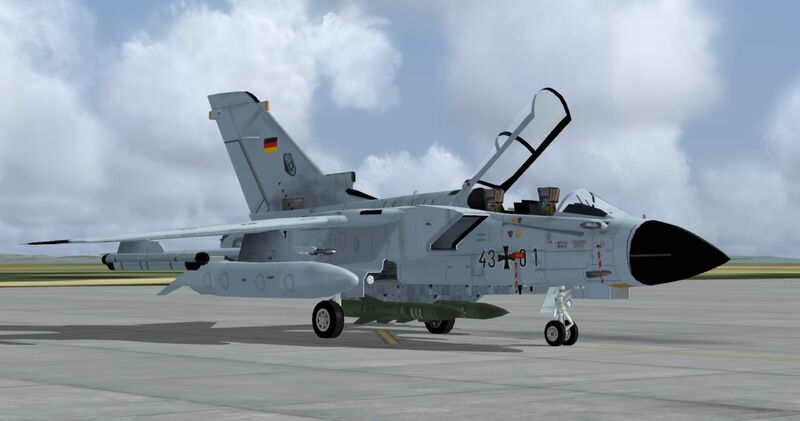 This package provides an additional set of models – Kormorand missiles - for use with the JYAI FS9, FSX and P3Dv4 Tornado’s contained in JYAI_Tornados_Luftwaffe_FS9.zip and JYAI_Tornados_Luftwaffe_FSX_P3Dv4.zip. The German load-out texture has also been updated with a green (inert) painted Kormorand missile and the nose leg taxi light lens texture that was previously missing. An updated load-out .psd file from the paint kit, with the Kormorand missile and the missing lens image added, has also been included.